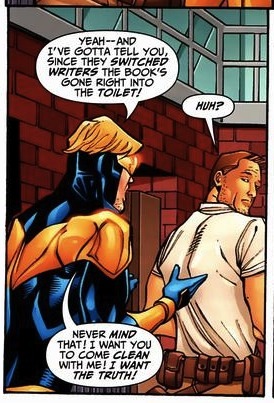 And so Giffen and DeMatteis's run on Booster Gold comes to a close. There's some odd banter on the Scans Daily page for this issue which bears reading. I have to admit to giggling hysterically when I first read that line. In fact it continues to make me chuckle.